Penny Black – My Cardz ~ My Passion . . . Happy Wednesday! 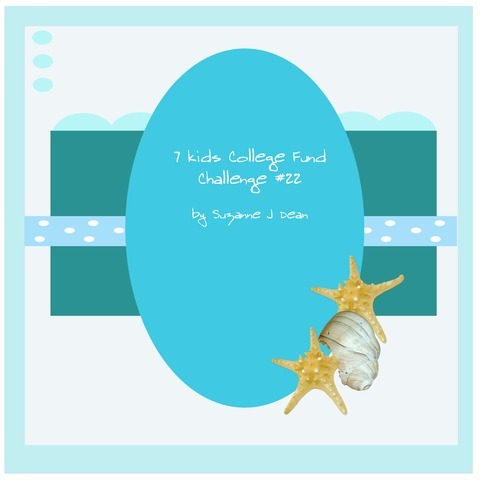 Another double challenge day ~ Please “page down” to the end of this post for today’s 7 Kids College Fund Challenge blog card and info. Our challenge this week at All That Scraps is Last minute Halloween packaging (bags, fun boxes, etc.). For my projects, I’ve used this SUPER easy Treat Bag Cover tutorial from Splitcoast Stampers, which is so nice to use some of those larger scraps of DP we all seem to keep! I’ve got a few closeup photos of each treat bag. I’ve used digi images for these bags, since they are rather small — gee, I seem to really use these small palettes each week! 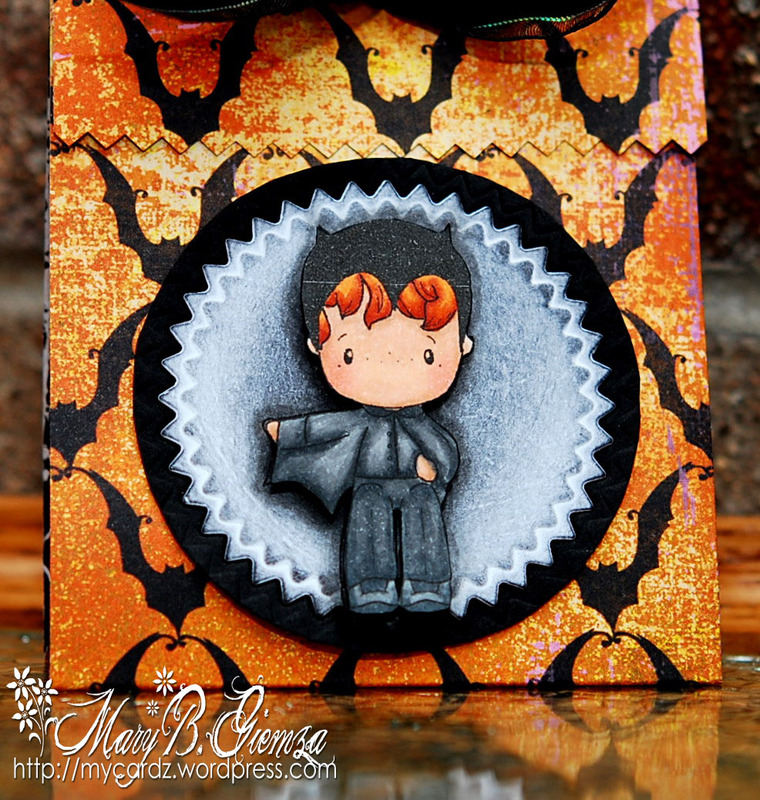 This one is made using the new C. C. Designs Swiss Pixies Halloween Hansel, dressed as a bat/vampire. I’ve paired him up with some Basic Grey eerie DP (in stock at 7KCF) . . .
Next is another new image from C.C. 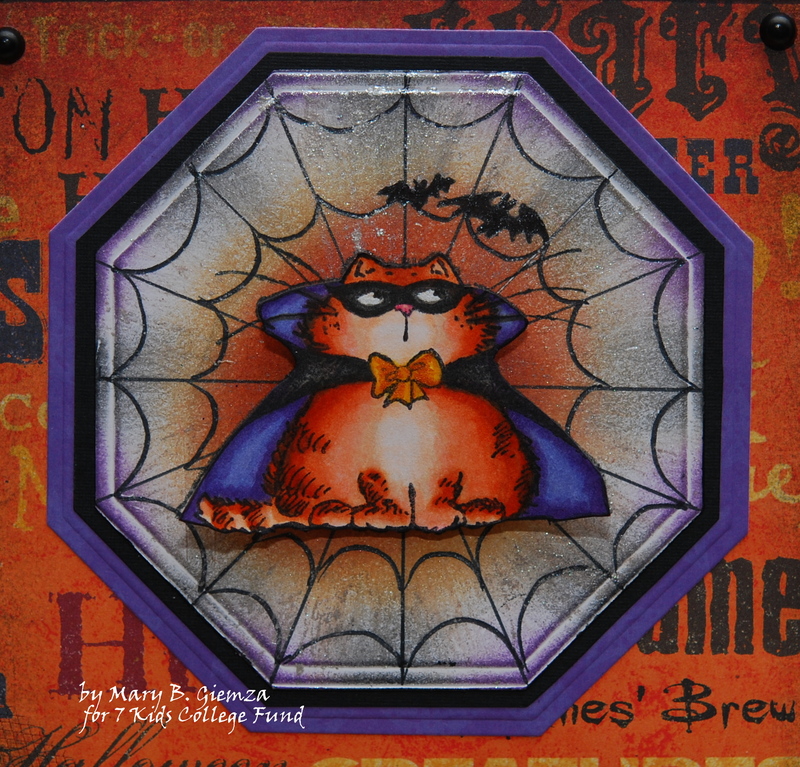 Designs, Swiss Pixies Halloween Birgitta. 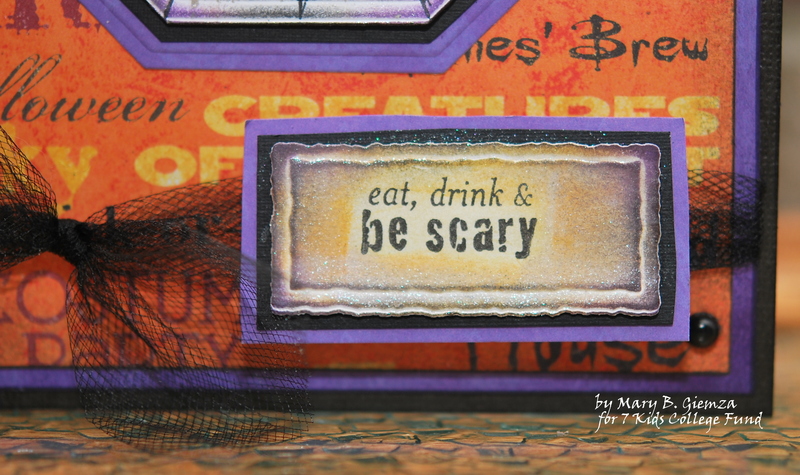 I’ve used some Halloween embossed spider web paper from SEI called Eerie Alley. And, the last treat bag is made with Reminisce DP – Trick or Treat All Wrapped Up, using an image from last year’s C.C. 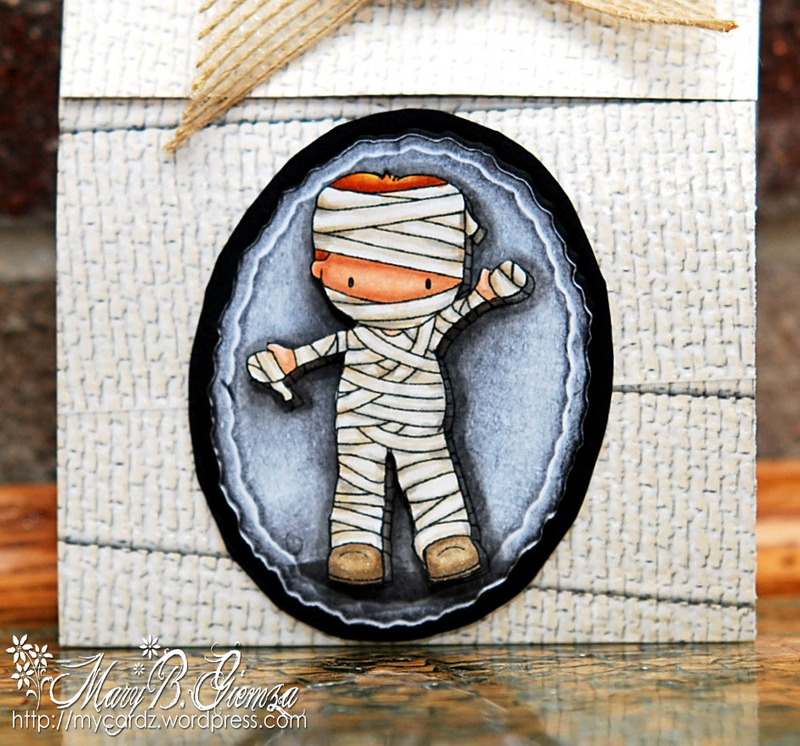 Designs Halloween collection – Sugarplums Mummy Trevor digi image. 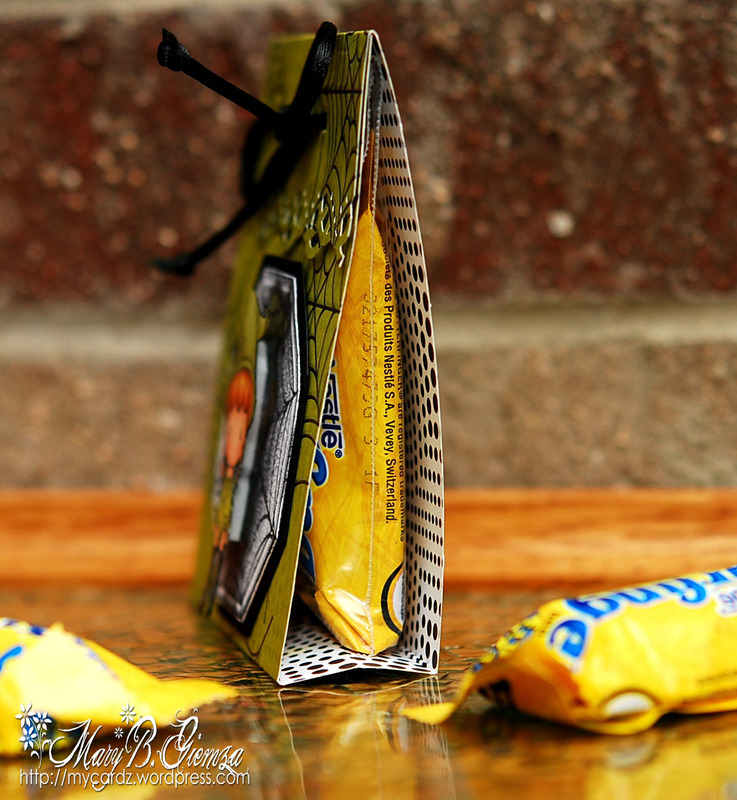 If you’re interested in seeing the treats in my cello bags … two mini Butterfinger (my FAV) candy bars! Here’s a quick sideview. So, be sure to pop over to the All That Scraps Challenge blog to take a peek at the all the awesome ideas for your “last minute Halloween packaging” ideas! 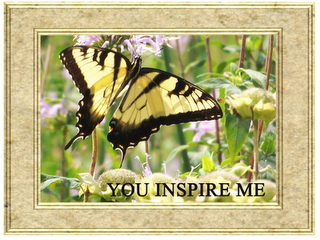 I know you’ll be inspired to join us! 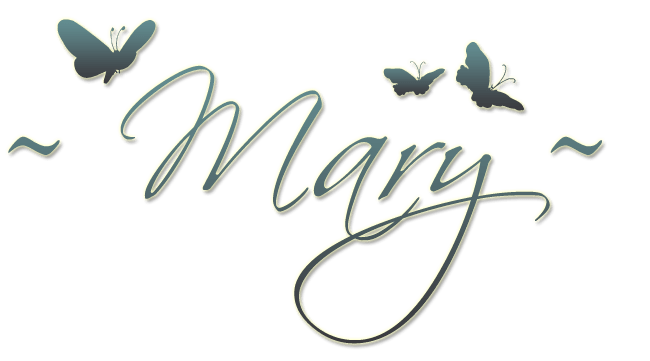 7 Kids College Fund Challenge ~ Happy Birthday! 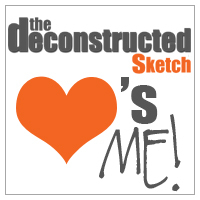 I was excited when I saw this challenge picked by the so very nice Ann Vento of the 7 Kids College Fund Design Team. It seems no matter how many cardz I end up making for various challenges, there never seem to be enough Happy Birthday cardz ~ our challenge this week! I’ve used one of my VERY favorite stamp brands for this card ~ Penny Black Slapstick (they seriously give the best impression each and every time, I love em!) 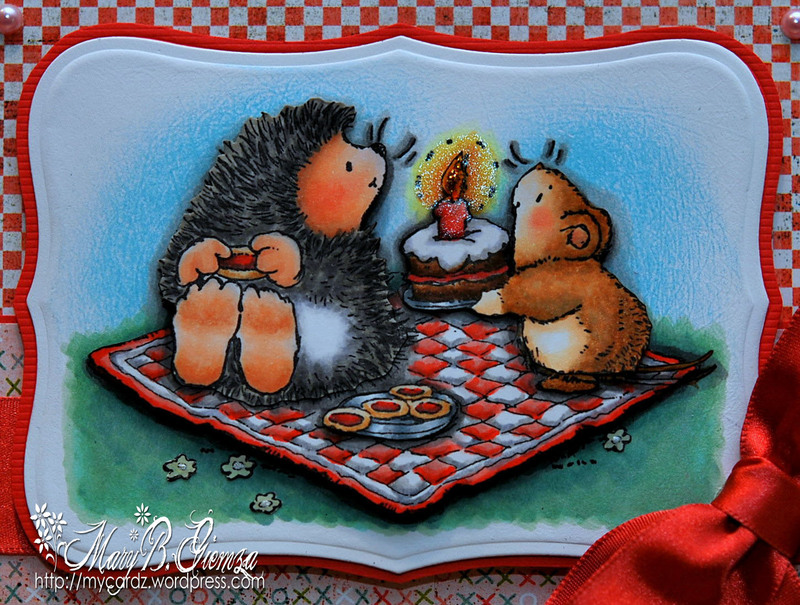 This one is called Hedgehog Birthday, featuring the famous cutie pie heggie from Penny Black! I’ve paired this adorable image with papers from one of my favorite Basic Grey collections – Olivia! Plus, it gives me the opportunity to use this yummy matching ribbon again! 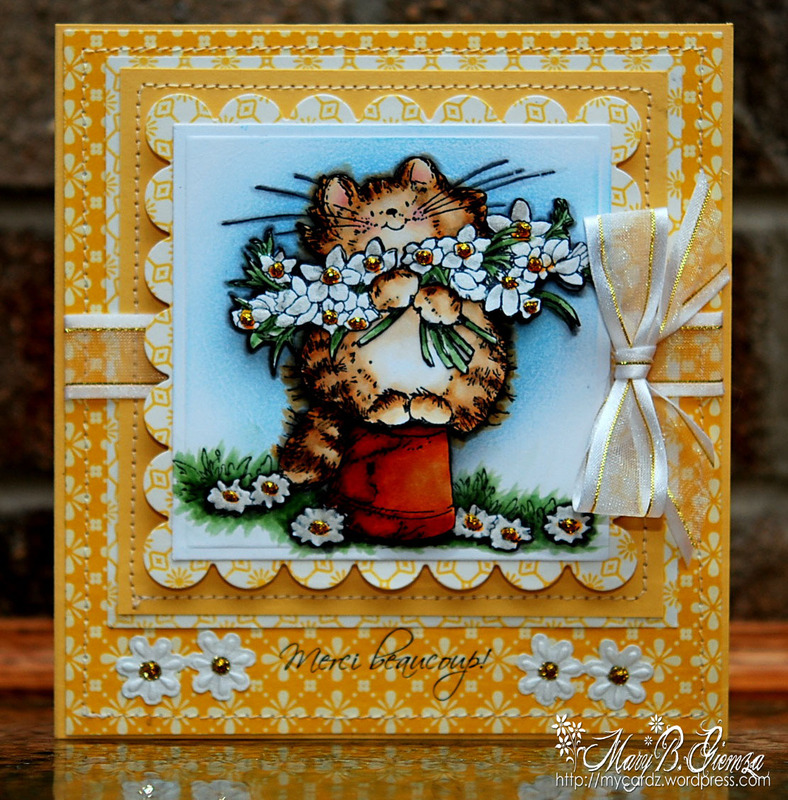 I hope you have time to stop over at the 7 Kids College Fund challenge blog to see the gorgeous Happy Birthday cardz from the very talented Design Team. All the details on this challenge can be found there also. It’s my DD’s (Quinn’s mommy!) birthday today!! 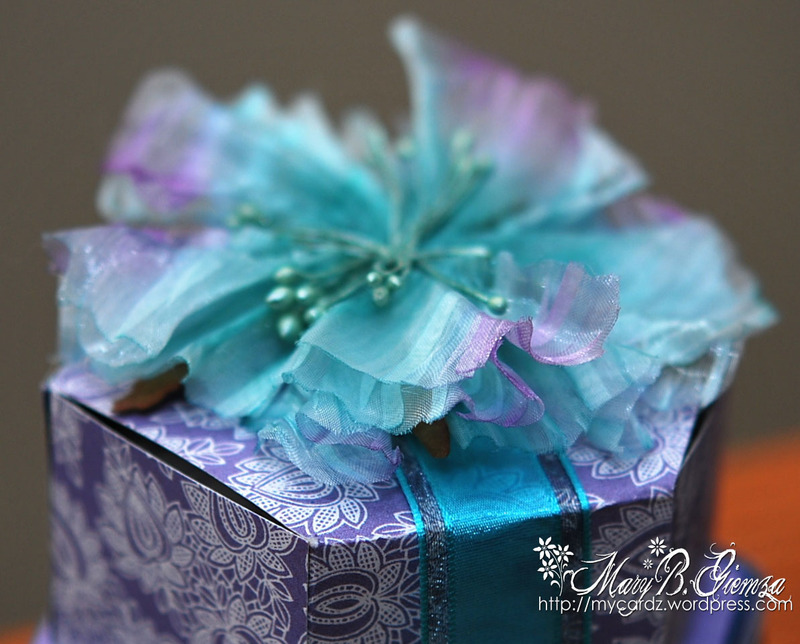 She’s a purple-aholic just like me, so I was excited to make this gift set for her special day. Just Us Girls is having a Template Week challenge and I felt like a kid in a candy store looking through the awesome selection of templates from Kelleigh Ratzlaff Designs, the sponsor for this challenge!! Wow, you really must take a peek ~ I will definitely be back to this site again! Plus, I was blown away by the samples from the JUGs Design Team . . . each one is just gorgeous! I’ve used the Hexagon Box Templates for my project. And topped them off with a yummy teal and lilac Prima flower. 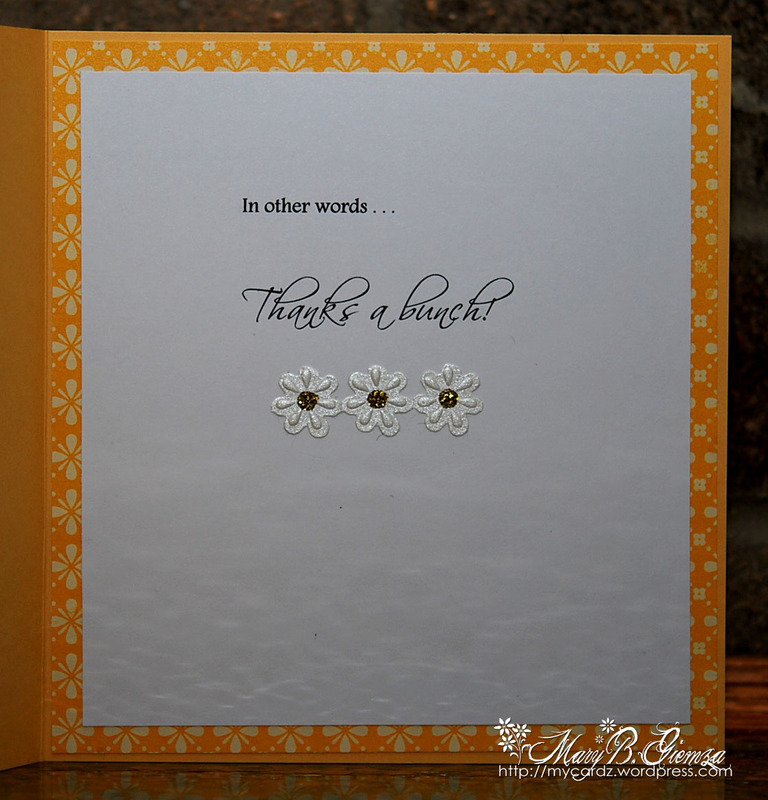 The matching card is made using an adorable stamp from the Betsy Bluebell set from Penny Black, now available at 7 Kids College Fund. I used scrap pieces of patterned paper leftover from the boxes for this card . . .
Hello everyone! Isn’t she just such a cutie!?? The saying “chunky monkey” keeps popping into my head when I see this image! lol It’s a new slapstick stamp (my favorite type of stamp for a clean sharp impression every time!) 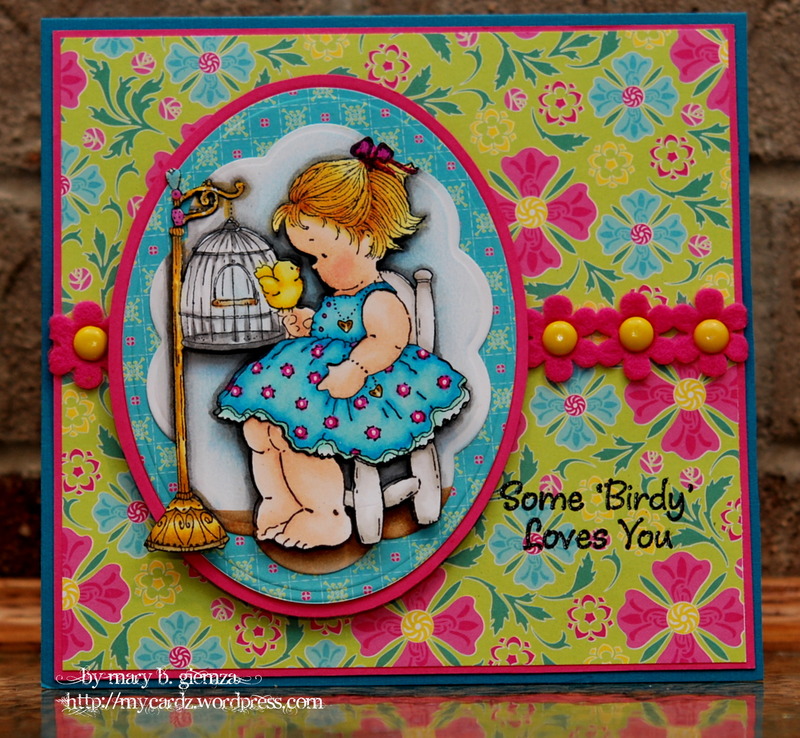 from Penny Black ~ Tweet Talk. She’s IN STOCK and available at 7 Kids College Fund! 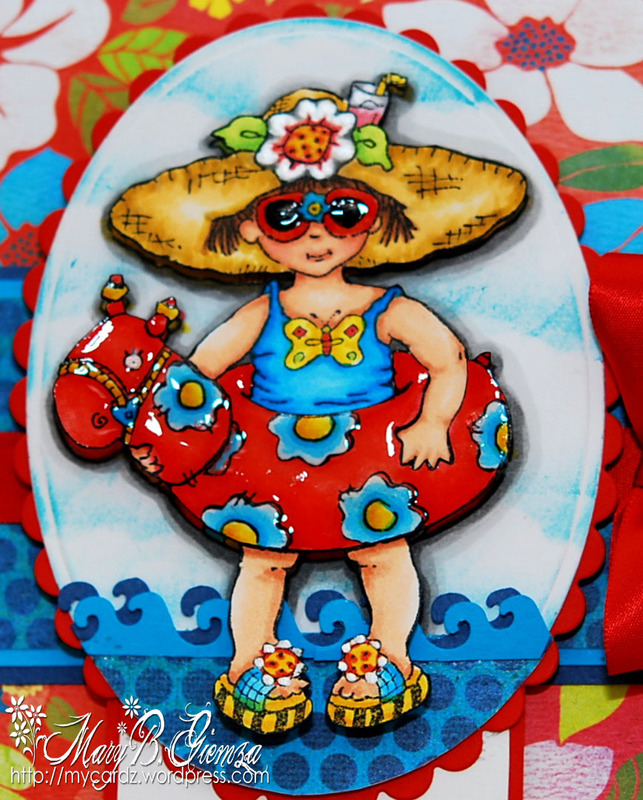 She’s been colored with Copics, cut out and popped up with dimensionals onto a Spellbinders Nestabilities Large Big Scalopped Oval die cut and matted with a Small Petite Oval. 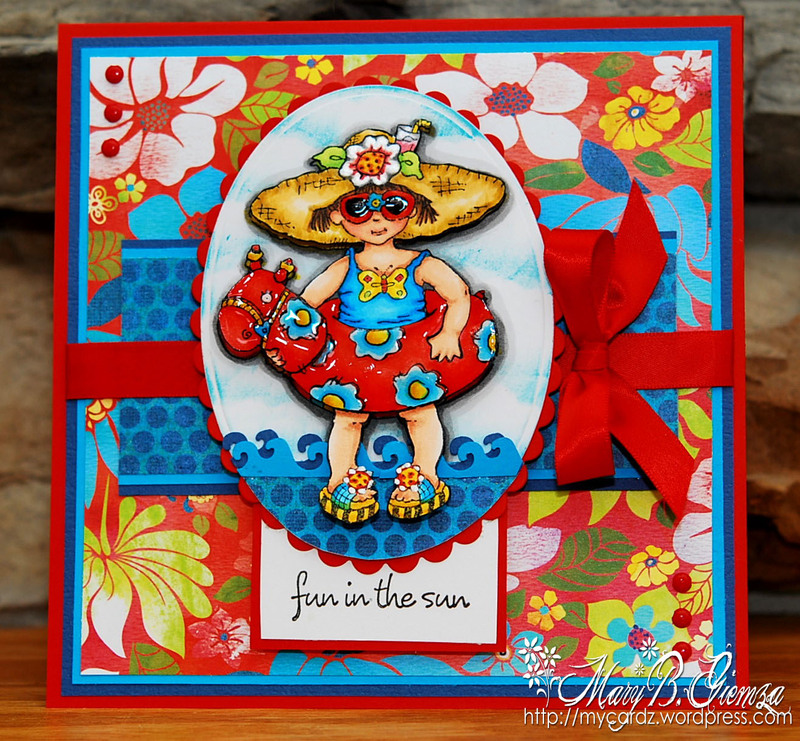 The lovely DP is from the Cosmo Cricket DeLovely mini deck – just gorgeous paper in gorgeous colors!! The sentiment is from Impression Obsession and the pink felt flower ribbon is from Michaels – I added some yellow brads to the center of each flower. Thanks for visiting today! Hope you’re having a great weekend! 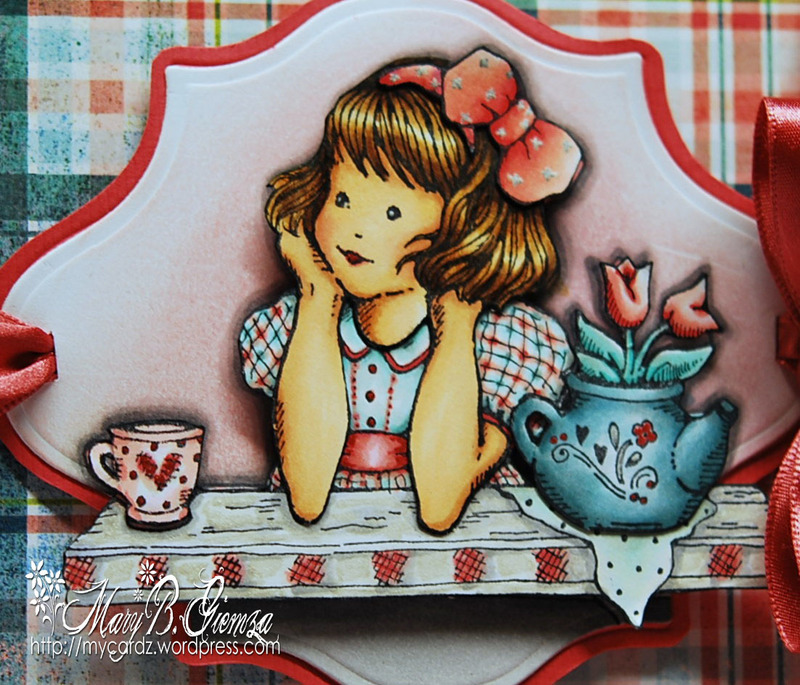 Sooooo, have I mentioned lately how much I love these new Penny Black stamps??!! NO? Well, I love em a lot! If you’ve been following for the past few days, this is my third image from the awesome new Penny Black holiday images now available at 7 Kids College Fund. I just love each one more than the last. This one is called Celestial Heart. 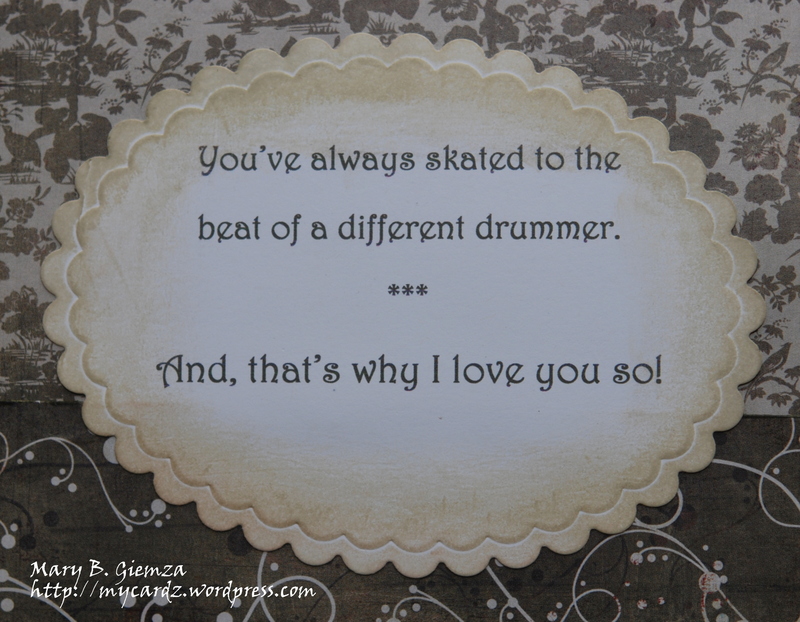 I found this sentiment on the internet and thought it was pretty appropriate for this card. I actually would love to use this for our Christmas cards this year, just wish it were February or March so I could spend enough time on them!! Oh well, I might have to tailor this one down since it took quite awhile for me to finish it! I think the worst part was that I had decided to do lots of layers with the image, not realizing that there are three little hearts that hang down off the trumpet. And when I say little, I mean REALLY little! I was pretty proud that I actually got them colored, cut out and attached to some nylon iridescent string I had!! I won’t tell you how long THAT took! This is the very first card I have ever done where the edges have been distressed! It was actually lot of fun ~ Although I think I may go out and buy a distressing tool … my fingernail is still sore! I even made my own glitter buttons ~ just added some Star Dust Stickles to the back of a transparent button – pretty cool! The sentiment is computer generated. I think I’ll give you a break from the Penny Black stamps for awhile! Well … maybe just one more! 🙂 Thanks for stopping in today! I think I used every single Copic marker I have to color this image!! LOTS of colors ~please see list at the end of this post. Thank goodness I am able to get my Copics from 7 Kids College Fund since they have the best prices and selection around! 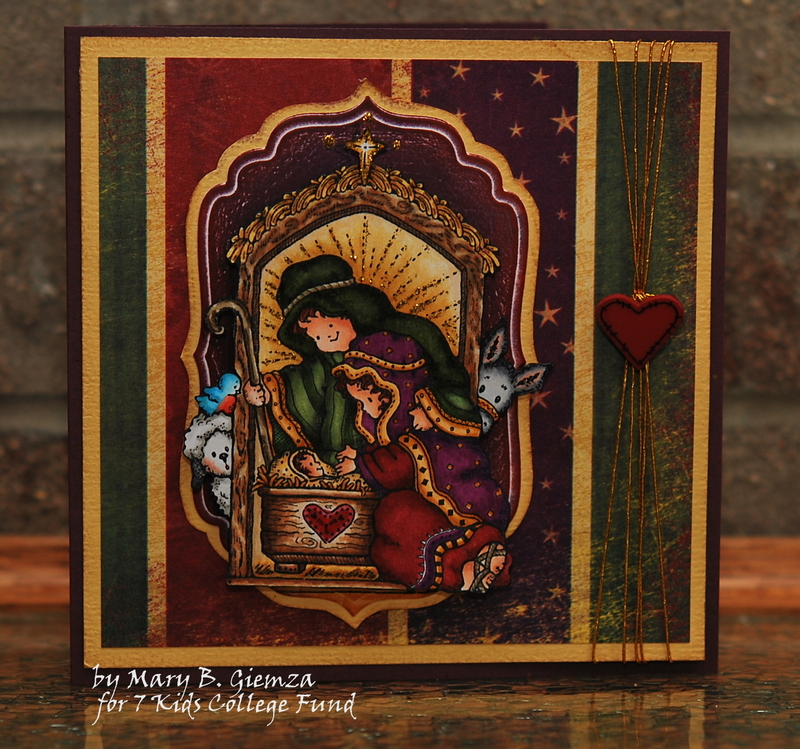 This is another from the brand new holiday collection from Penny Black, called SWEET NATIVITY. My favorite part of this particular image is the adorable faces of the animals peeking their heads out on each side of the image! I also can’t tell you enough how impressed I am with this new stamp form they’ve come up with. 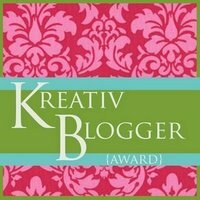 It’s called Slapstick ~ if you’re interested, you can read about it on my post from a few days ago – here. 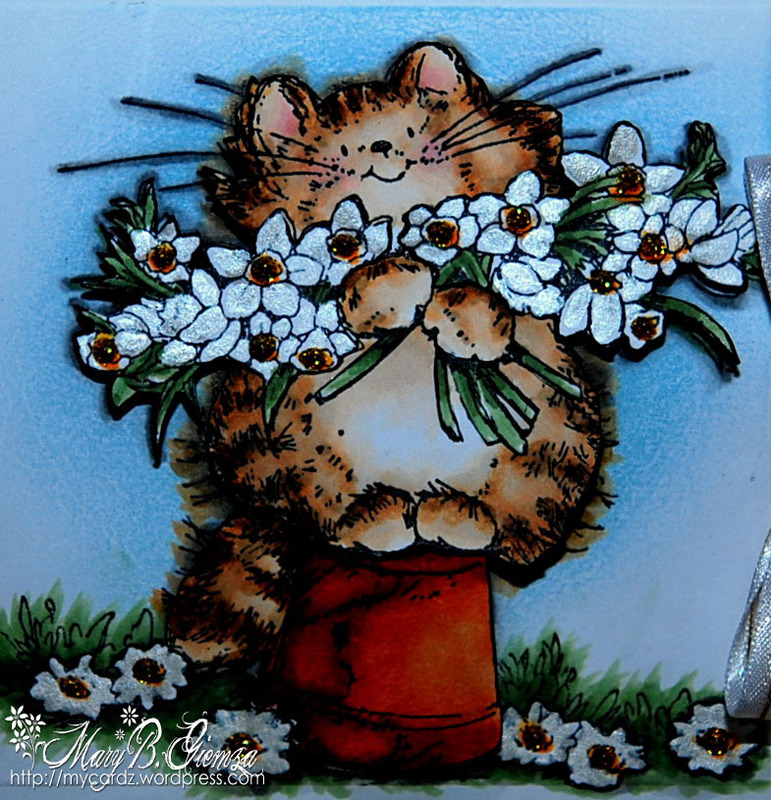 In case I haven’t mentioned it ~ I just LOVE ALL these new images from Penny Black!! You can take a peek at the entire collection at 7 Kids. I also love this dp from Karen Foster Design, called Christmas Ribbons ~ I really love the rich dark colors and tried to color my image to match. I, of course, HAD to add some Stickles – in Golden Rod on the star and the star rays in the background. No Christmas card is complete without some glitter! 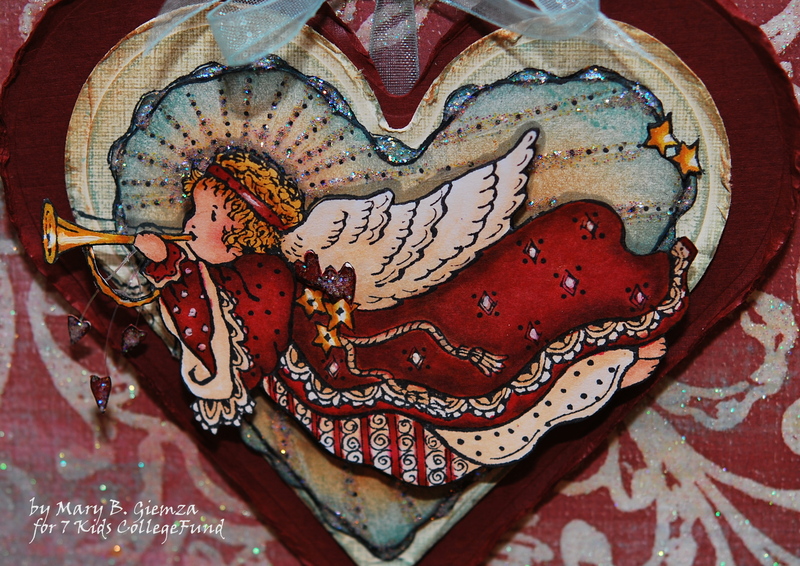 I tied some gold metallic string to the side of the card and attached a wooden heart I had in my stash. Thanks for stopping today ~ Hope you have a great week! Guess what I received in the mail today!!?? Happy Mail! 🙂 You may recall a few days ago that I was VERY excited about the new Penny Black holiday stamps?? You can find my post here, in case you missed it. Needless to say, my stamps arrived today! 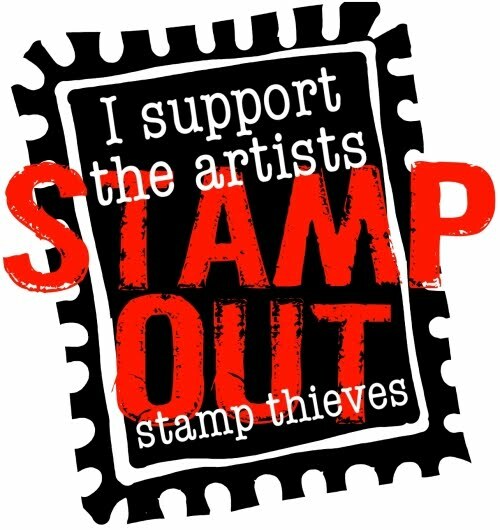 I have to tell you these are really awesome stamps ~ they’re called slapstick stamps. They are deeply etched red rubber mounted to EZ Mount that has been stamped with the image, which works out great to be able to line up your image. I really love this new stamp format ~ a great impression on my first try too! This adorable little girl is called Winter Swing. I love all the little holiday accessories she’s wearing ~ so typical of little girls at this age. The dp used is from a company called ADORNit, Holly Jolly Collection – Shouting Stars (appropriate name!). I added some Golden Rod Stickles to all the stars. The ribbon is from my very generous friend America – it was originally red and white stripped, but I used my Y11 Pale Yellow Copic marker to change the white to yellow! It works really well, AND it also helps to make the ribbon a little stiffer and easier to tie into a bow. I know today is Halloween, but I just couldn’t wait to ink up this cutie pie! 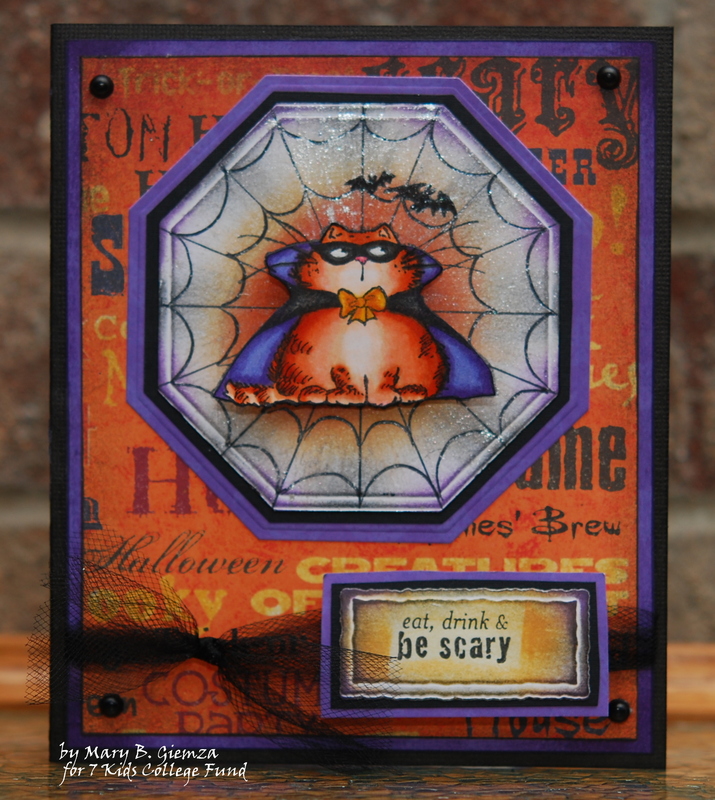 I do have a Tilda Halloween card and treat bag today on My Magnolias blog, if you’d like to take a peek! Thanks for visiting ~ Hope you have a safe holiday today! 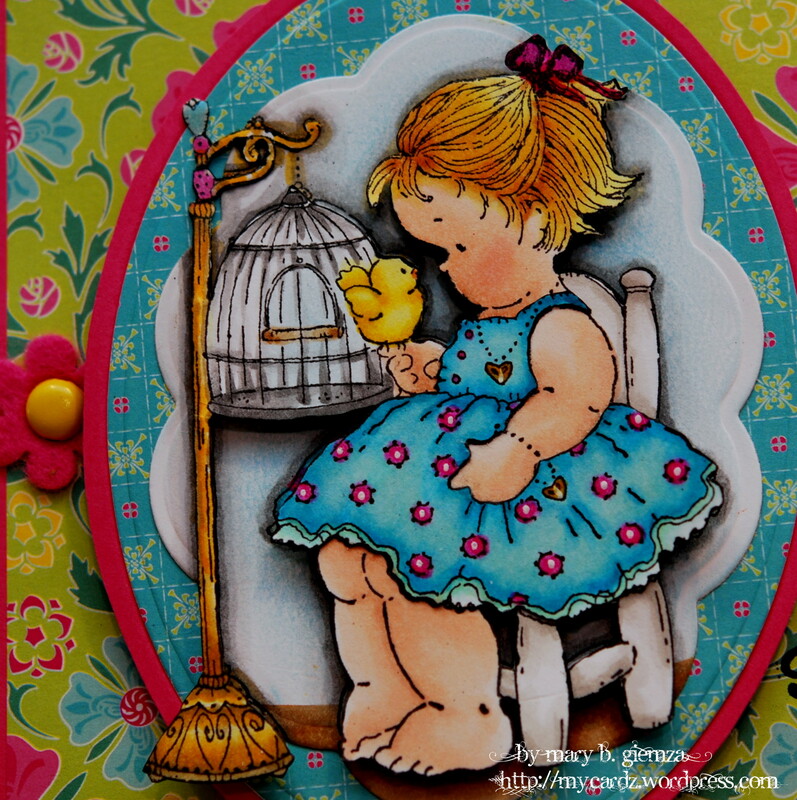 ADORABLE New Penny Black Stamps!! 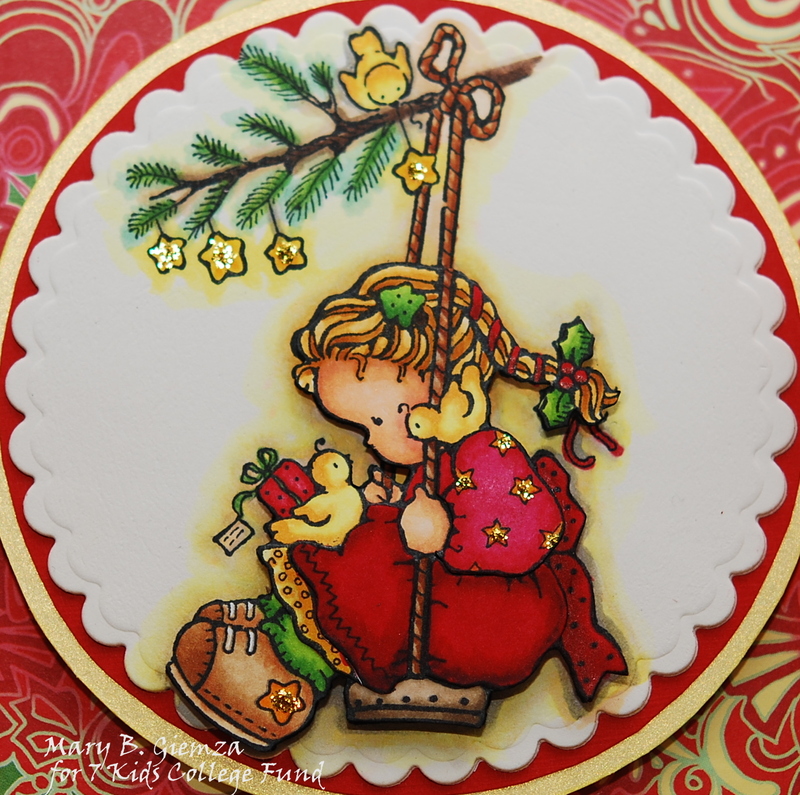 You HAVE to check out these brand new totally ADORABLE holiday stamps from Penny Black!! They are available NOW at 7 Kids College Fund! Penny Black has always been one of my favorite stamp companies for coloring with Copics, and the detail on these stamps is amazing! Hope you can take a peek …. HERE! There are LOTS more and each one is cuter than the last! Better get em before they’re gone!! 🙂 I’m hoping to receive my order VERY soon! How’s this for one scary cat!? This cutie is from the Spooky! stamp set from Penny Black. I used one of the Large Octagon Spellbinders Nestabilities dies and drew lines to look like a spider’s web and added LOTS of Shimmerz in Angel Wings. I love this sentiment too!! 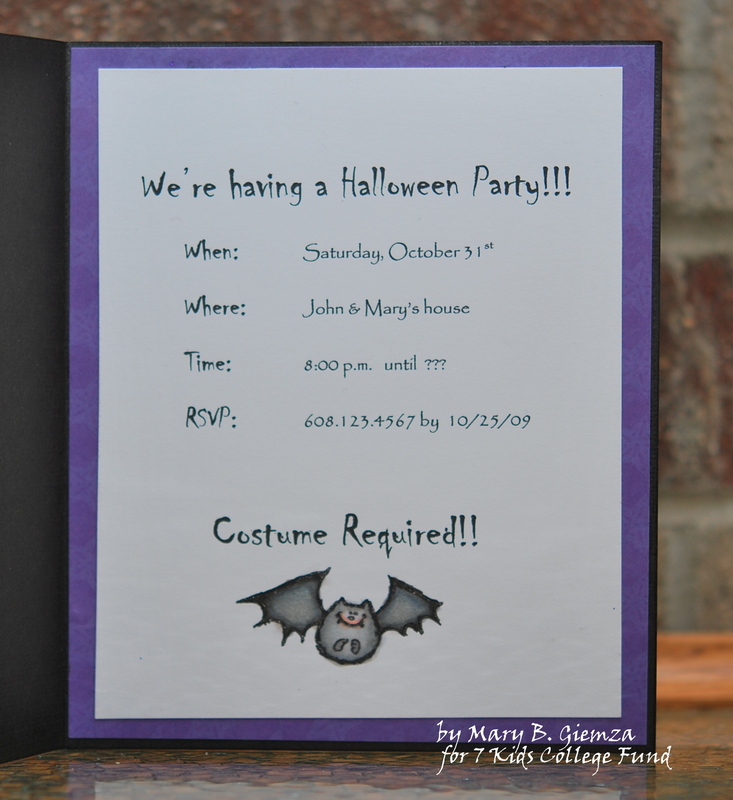 Thought it would make a great Halloween party invite … with Halloween falling on a Saturday this year, I imagine there will be LOTS of parties going on! Hope you can make it!! Thank you for dropping in and I hope you are having a Great weekend! 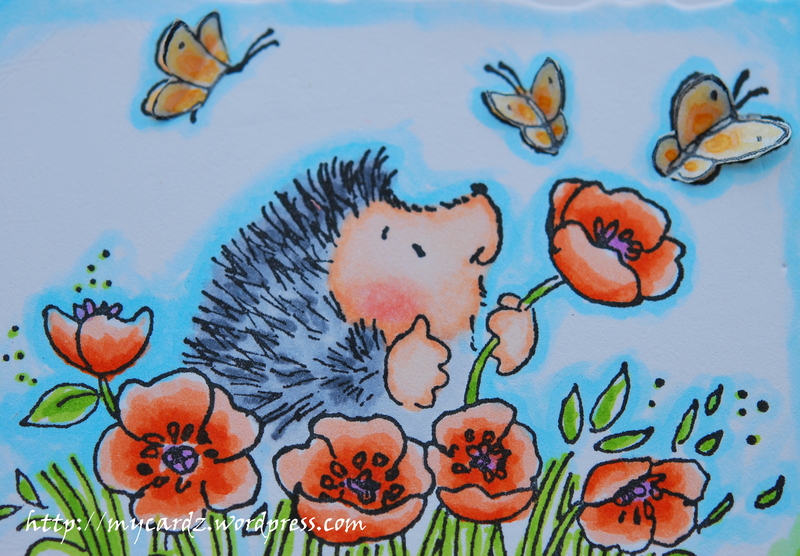 I thought the sentiment from PTI was perfect for this little Penny Black hedgie stamp called Poppy Fields. 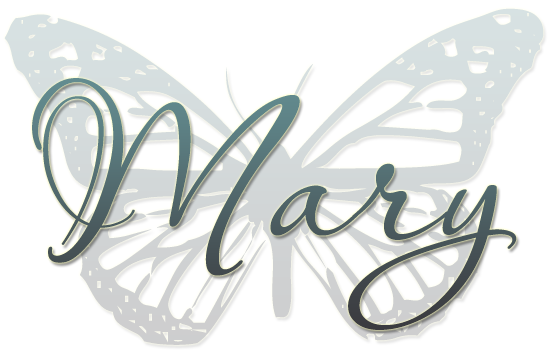 I cut out a second set of butterflies and attached them on top of the original image for a little bit of a dimensional look. 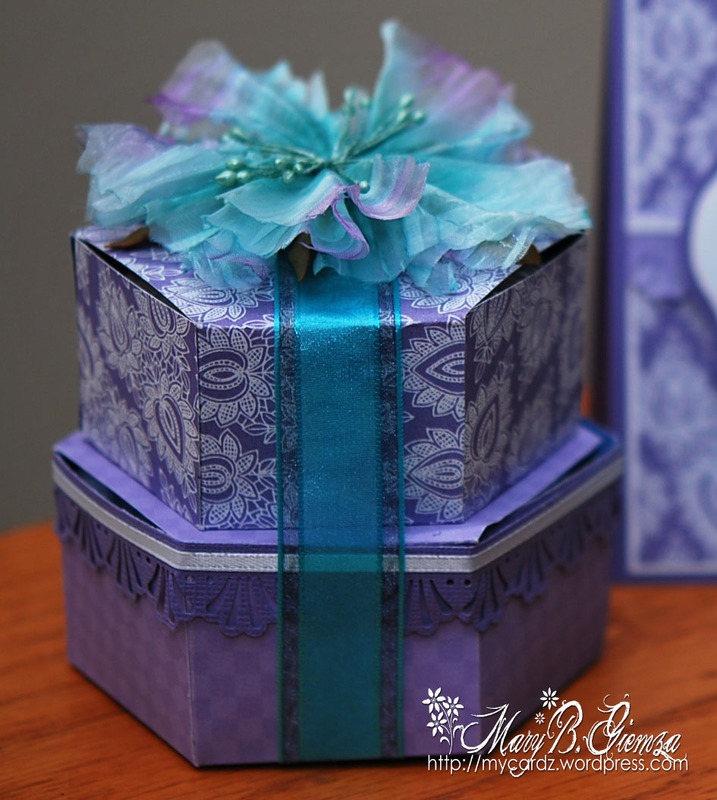 The ribbon is rather frilly in an attempt to try to match the deckled rectangle Spellbinders Nestability die used, but, I’m just not too sure about it! 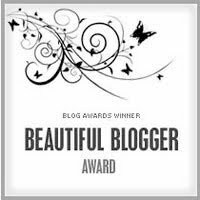 The DP used is by Graphics 45 – my fav. Thanks for your visit today ~ I truly appreciate it! Ohhhhh….and guess who got happy mail from Sweden yesterday???? 😀 Yay!! 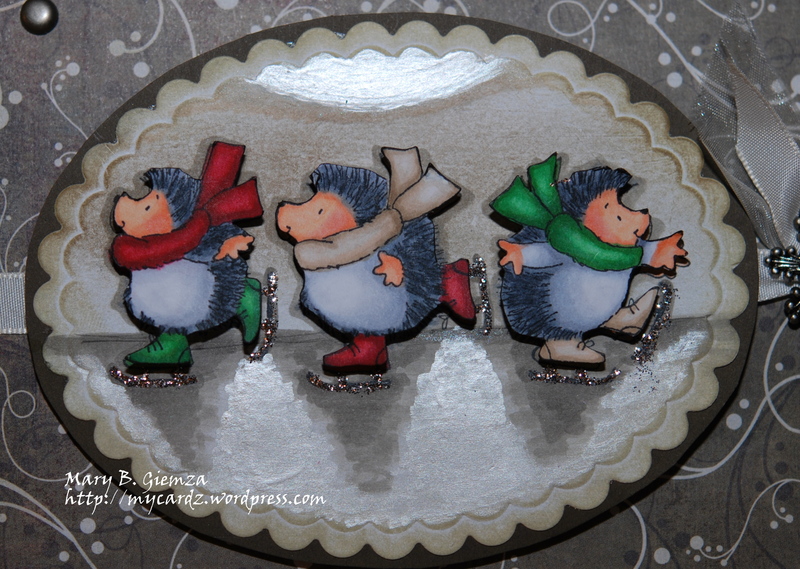 Doing the Hedgy Shuffle in the “moonlight”! Yay! 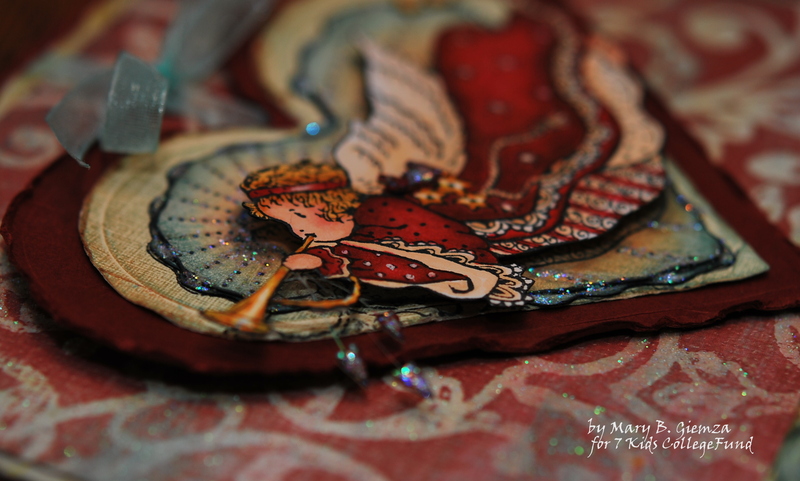 I was once again able to join my favorite challenge ~ Christmas Stampin’ All Year Long, by the amazing Maria Bell! 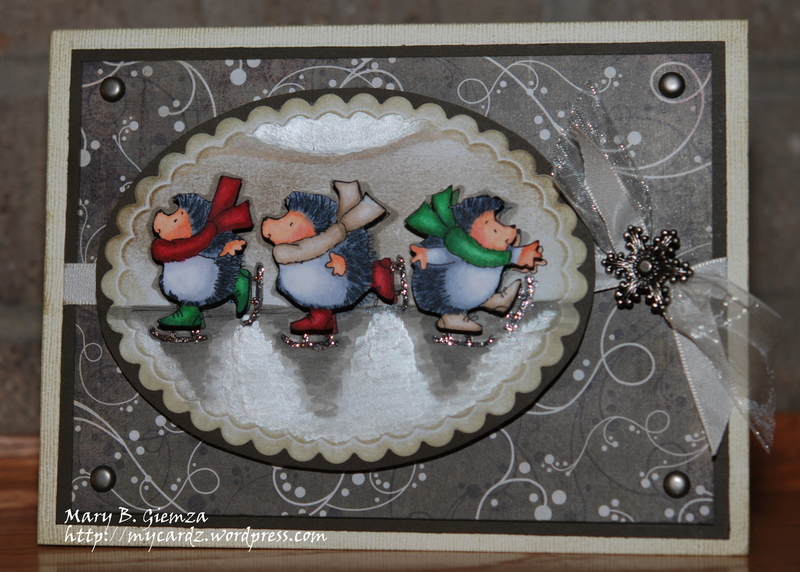 I used the Penny Black stamp, Hedgy Shuffle for my card. Added lots of Smooch moonlight paint to give the affect of … yep, moonlight! 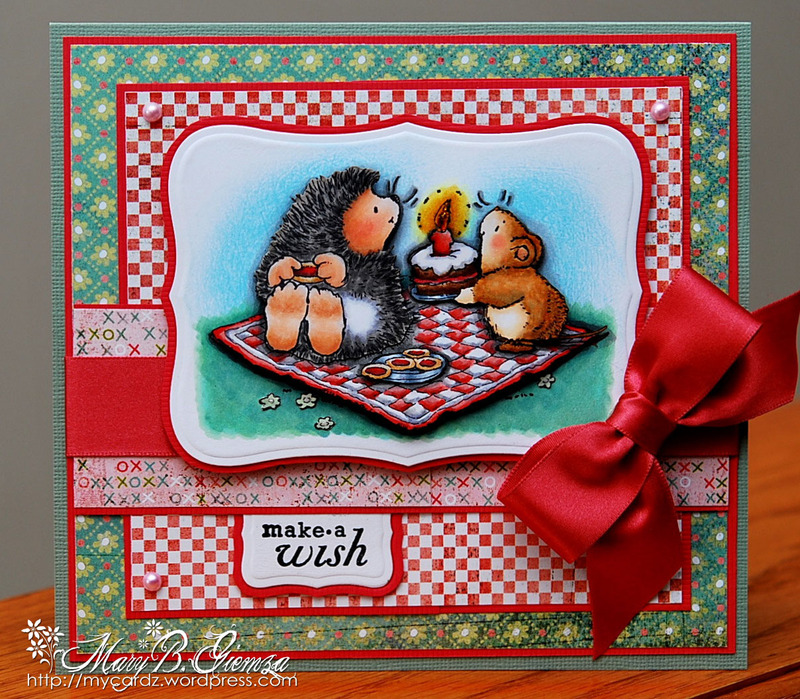 I just love these little hedgehogs! All the details on this challenge can be found here, be sure to check out the awesome DT cardz. 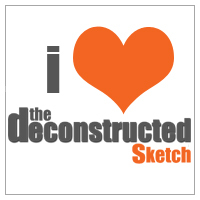 Thanks for checking in today – Tomorrow is another Copics Creations Challenge! Hope you can stop back to take a peak! 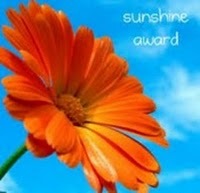 I’ve had this stamped image for quite awhile…it was given to me by my “darling” sistah, Nancy. 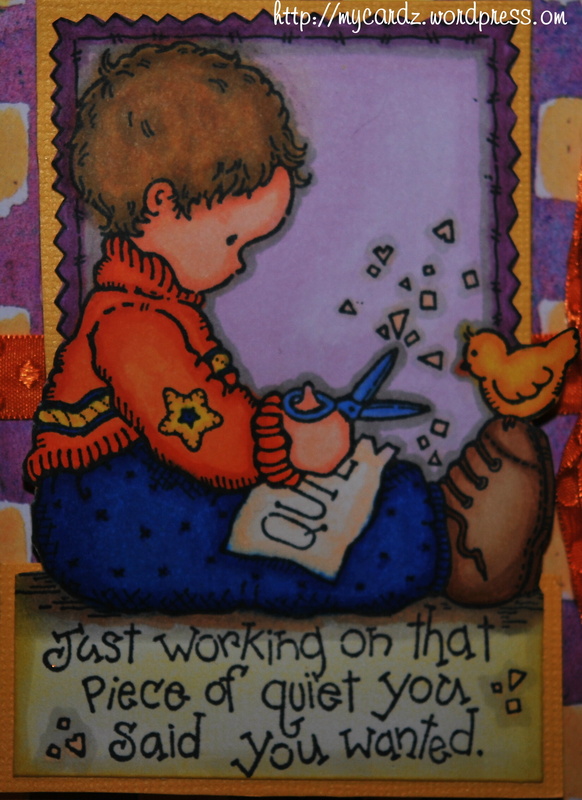 I believe it’s from Penny Black, an older one called Piece of Quiet Little Boy ~ at least that’s what I could find on the internet. I imagine the Mom or Dad said they would like some “Peace AND Quiet”! How cute is he? Last night I was told about a brand new blog called Copics Colour Challenge, by the VERY sweet and SUPER talented Jami Bova, one of the newest members of the House Mouse Design Team. I was SOOOO excited, since as anyone who visits my blog knows, I LOVE, love, LOVE Copics ~ which are now available at 7 Kids College Fund . They have an amazing selection of the Sketch markers, at very affordable prices! For some reason, this little boy jumped out at me wanting to be colored! I wanted to get this posted before I leave for work this morning and will try to get the details added later this evening. Sorry about that ~ I just wanted to share this news about the Copics blog with you. Hope you can check it out! Be back later … 🙂 Have a good day! ONE very detailed Leaping lord?!! The eleven Faithful Apostles: 1) Simon Peter, 2) Andrew, 3) James, 4) John, 5) Philip, 6) Bartholomew, 7) Matthew, 8) Thomas, 9) James bar Alphaeus, 10) Simon the Zealot, 11) Judas bar James. (Luke 6:14-16). The list does not include the twelfth disciple, Judas Iscariot who betrayed Jesus to the religious leaders and the Romans. The twelve points of doctrine in the Apostles’ Creed: 1) I believe in God, the Father almighty, creator of heaven and earth. 2) I believe in Jesus Christ, his only Son, our Lord. 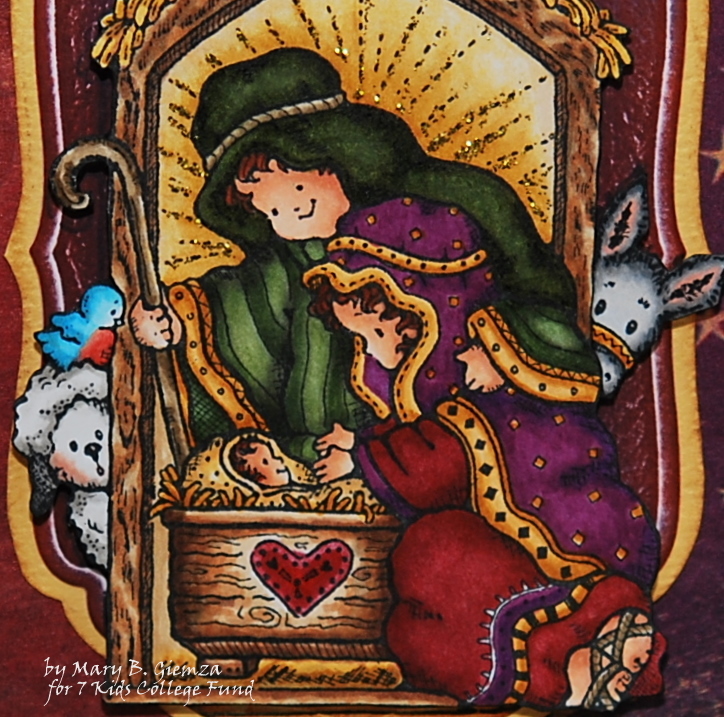 3) He was conceived by the power of the Holy Spirit and born of the virgin Mary. 4) He suffered under Pontius Pilate, was crucified, died, and was buried. He descended into hell [the grave]. 5) On the third day he rose again. He ascended into heaven, and is seated at the right hand of the Father. 6) He will come again to judge the living and the dead. 7) I believe in the Holy Spirit, 8.) the holy catholic Church, 9) the communion of saints, 10) the forgiveness of sins, 11) the resurrection of the body, 12) and life everlasting.